Winner will be announced on Sunday, Feb. 24, at the Ms. Hockey Awards Banquet at the St. Paul RiverCentre. The puck stops here. 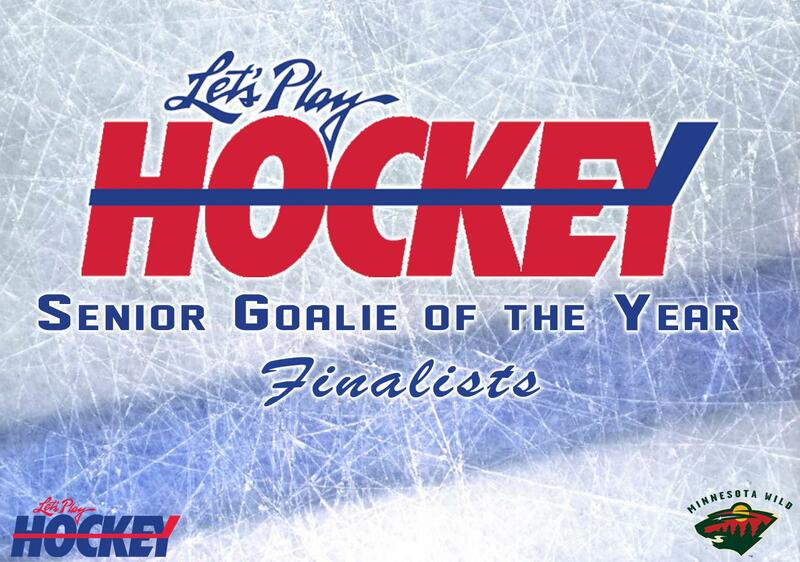 It’s time to announce the five finalists for the 2019 Let’s Play Hockey Senior Goalie of the Year Award for girls’ high school hockey goaltenders in Minnesota. The winner will be announced on Sunday, Feb. 24, at the Ms. Hockey Awards Banquet at the St. Paul RiverCentre, the day after the conclusion of the girls’ high school state tournament. The five finalists for the Senior Goalie of the Year Award combine for a 1.57 goals-against average, a .947 save percentage and a grade-point average of 3.83. The Senior Goalie of the Year Award is presented to the top senior girls’ high school hockey goalie in the state of Minnesota, based on the following criteria: academics, community/extra-curricular activities, citizenship, coachability and, of course, on-ice performance. 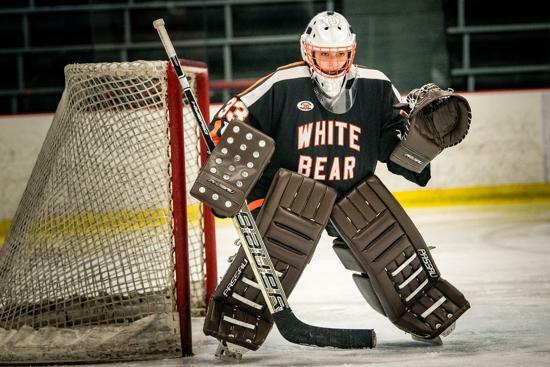 A mainstay in the White Bear Lake net for five seasons, Calla Frank has been the goalie of record for nearly 80 percent of games since the beginning of her eighth-grade year. Frank has compiled a career record of 57-43-7 with 18 shutouts, ranking first in school history in both wins and shutouts. This season, she owns a 10-12-3 overall record with a 2.17 goals-against average, a .938 save percentage and one shutout. A member of the gold medal-winning U.S. Women’s National Under-18 Team at the 2018 IIHF World U18 Championship, Frank has faced the fifth-most shots in the state this season (887) and has made 30 more saves in 14 games on the year, including a 56-save effort in a 3-2 win over Stillwater on Dec. 15. Despite the number of shots faced, she has allowed two or fewer goals in 15 games this season. Frank will continue her hockey career at Minnesota State in the fall. Backstopping one of the state’s premier girls’ high school hockey programs, Quinn Kuntz has helped the Warriors to a 24-0-1 overall record and the No. 1 ranking in Class A. Through the end of the regular season, she ranks first in the state in wins (24), save percentage (.964), goals-against average (0.60) and shutouts (14). Kuntz has allowed more than two goals only once this season, a 4-3 win over Minnetonka on Nov. 17, and more than one goal only two other times – a 4-2 win over Brainerd/Little Falls on Dec. 15, and a 3-2 win over Roseau on Jan. 8. 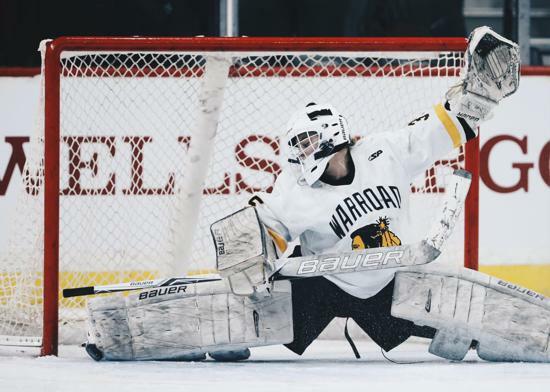 In nearly two seasons as Warroad’s starter, Kuntz owns a 39-2-1 overall record with a .963 save percentage, a 0.66 goals-against average and 22 shutouts. She will continue her hockey career at Ohio State in the fall. Away from hockey, Kuntz has a 4.23 GPA and is ranked sixth in her class. A member of the National Honor Society, she has been a volunteer teaching assistant for two years. In addition, she coaches girls’ fastpitch softball and serves as both a referee and coach for youth hockey. One of the state’s top goalies the past two seasons, Lucy Morgan has compiled a 17-7-1 record with a 1.44 goals-against average and a .939 save percentage to go along with her six shutouts. 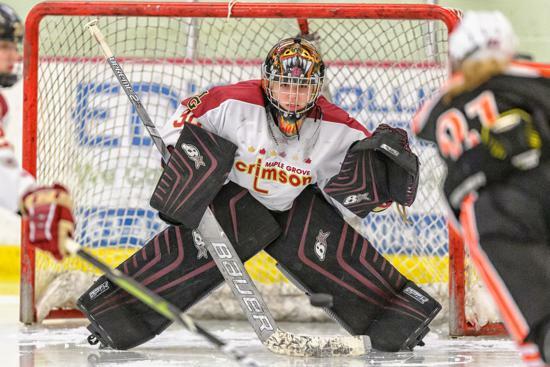 A two-time all-state and three-time all-conference selection, she has backstopped the Crimson to the No. 9 ranking in Class AA this season. This season, Morgan has allowed two or fewer goals in 23 of her 25 starts and enters the postseason with only seven goals allowed in her past seven games. During the year, she has been involved in 10 one-goal games, posting a 6-4-0 record in those contests. In two seasons, Morgan owns a 35-12-5 overall record with a .943 save percentage, a 1.35 goals-against average and 18 shutouts. The owner of a 3.5 GPA, Morgan is an Academic Excellence Award winner and has been a volunteer with Espirit de She, Feed My Starving Children and the Skate with the Crimson Camp. The owner of the state’s fifth-best save percentage (.940) despite facing an average of 44 shots per game, Makayla Pahl has established herself as one of the top netminders in the state. This season, she posted an overall record of 4-8-3 with a 2.56 goals-against average and two shutouts. Pahl missed the Spartans’ last six games with a knee injury. 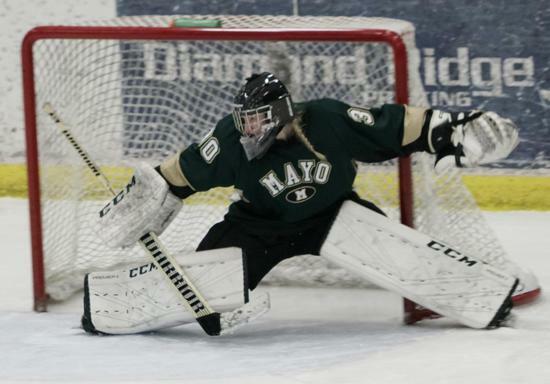 In her sophomore year, Pahl backstopped the Rochester Bantam AA team to the Minnesota Hockey state championship, while last season she played for the Mayo boys’ varsity team. Like Frank, Pahl was a member of the gold medal-winning U.S. Women’s National Under-18 Team at the 2018 IIHF World U18 Championship. She will continue her hockey career at the University of Minnesota in the fall. Off the ice, Pahl owns a 3.6 GPA and has served as an elementary school teacher’s aide and a volunteer youth goalie coach. The owner of some of the best statistical numbers in the state, Taylor Smith ranks second in the state in goals-against average (1.09) and save percentage (.954), third in wins (19) and sixth in shutouts (6). 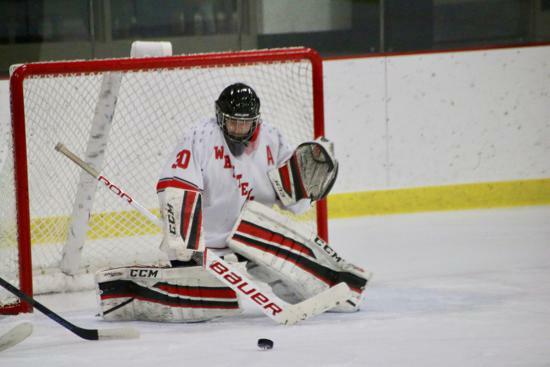 She has backstopped Mound Westonka to a 20-0-5 record and the No. 3 ranking in Class A. In 24 appearances this season, Smith has allowed a total of 26 goals, holding opponents to two goals or less in 21 contests. In two seasons as the White Hawks’ netminder, she owns a 28-15-8 overall record with a .939 save percentage, a 1.67 goals-against average and nine shutouts. The owner of a 4.0 GPA, Smith s a member of the National Honor Society, a Link Crew mentor and a Harbor Group member at MWHS. In addition, she plays on the White Hawk softball team in the spring. The winner of the 2019 LPH Senior Goalie of the Year Award will be named at the Ms. Hockey Awards Banquet on Sunday, Feb. 24, at the St. Paul RiverCentre. Additionally, all-state and all-academic awards will be presented by the Minnesota Girls’ Hockey Coaches Association, as well as the coaches of the year, the Brano Stankovsky Award, and the Charlie Stryker and Adrenaline Fundraising Scholarship awards for 2018-19. Tickets for the Ms. Hockey Awards Banquet may be ordered by calling Beth Kurtt at 612-306-1935. Both awards are sponsored by Let’s Play Hockey, the Minnesota Wild, GoodWood Hockey and OS Hockey. Past Senior Goalie of the Year winners: 2018 Alexa Dobchuk (Eden Prairie), 2017 Breanna Blesi (Maple Grove), 2016 Jenna Brenneman (Breck), 2015 Frances Marshall (Thief River Falls), 2014 Erin O’Neil (Hopkins), 2013 Sydney Rossman (Minnetonka), 2012 Erika Allen (Roseville Area), 2011 Julie Friend (Minnetonka), 2010 Kallie Billadeau (Hopkins), 2009 Laura Bellamy (Duluth), 2008 Alyssa Grogan (Eagan), 2007 Ashley Nixon (Blaine), 2006 Allana McCready (Centennial), 2005 Johanna Ellison (Cloquet/Esko/Carlton), 2004 Emily Brookshaw (Hill-Murray), 2003 Robin Doepke (Chaska), 2002 Amber Hasbargen (Warroad), 2001 Jody Horak (Blaine), 2000 Shari Vogt (River Lakes), 1999 Katie Beauduy (Blaine).